Here is the matching beanie pattern to my chevron scarf! 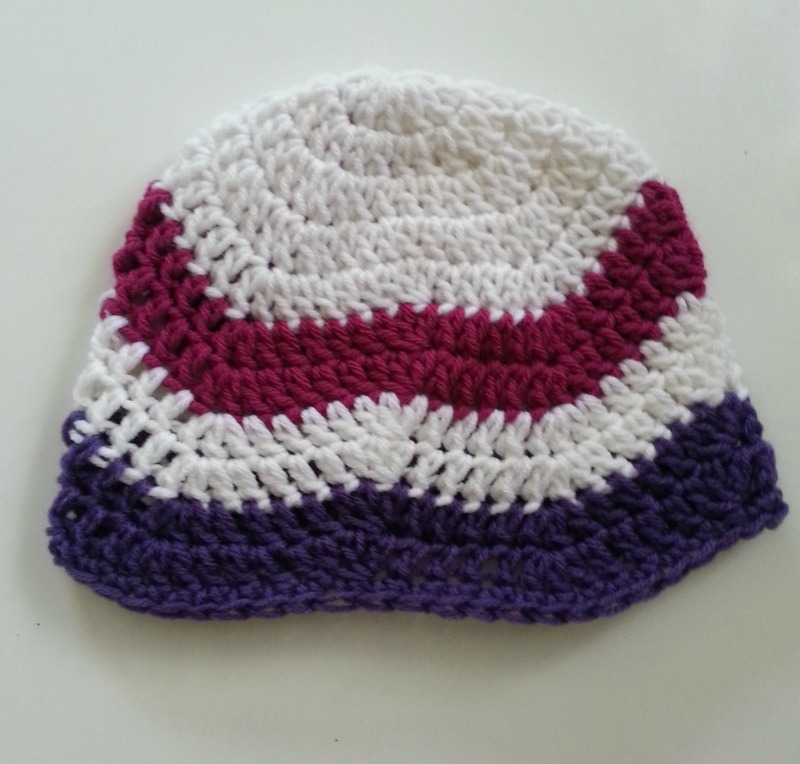 Very simple to crochet this pattern in the round. Change colors as you wish – I think this pattern would look great with any number of stripe designs. Begin w/ magic ring & ch 1 OR ch 4 & sl st to join. Round 1: 12 dc in ring & sl st to join. Round 5: *3 dc in 1st st, dc in next 4 st, dc3tog, dc in next 4* sl st to join round. Rep round 5 for desired length, change color at the end of the round. Round 12: sc in ea st & sl st to join. Pattern Notes: If you need to adjust the stitch count be sure to do so in multiples of 12. 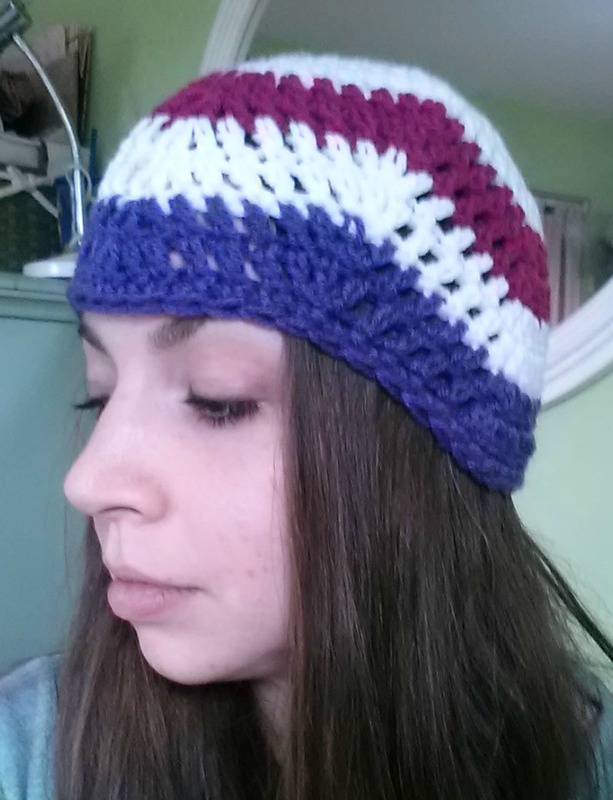 If you need to make this hat larger I would recommend going up a size in crochet hook as well if you want to make the hat smaller use a smaller size crochet hook. For my stripe pattern I crocheted 2 rounds of each color. The shape of this hat is a little funky due to the increase and decreases but I think it looks great when being worn. 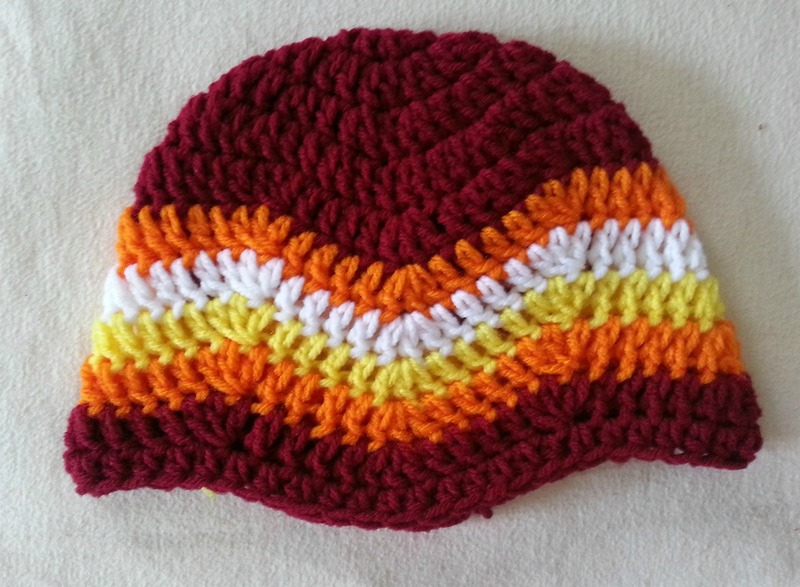 I decided to make another beanie with single stripes to see how it would look in the chevron design. Posted in Crochet Patterns, Video TutorialsTagged beanie pattern, crochet, crochet beanie, crochet chevron, crochet pattern, free patternBookmark the permalink.